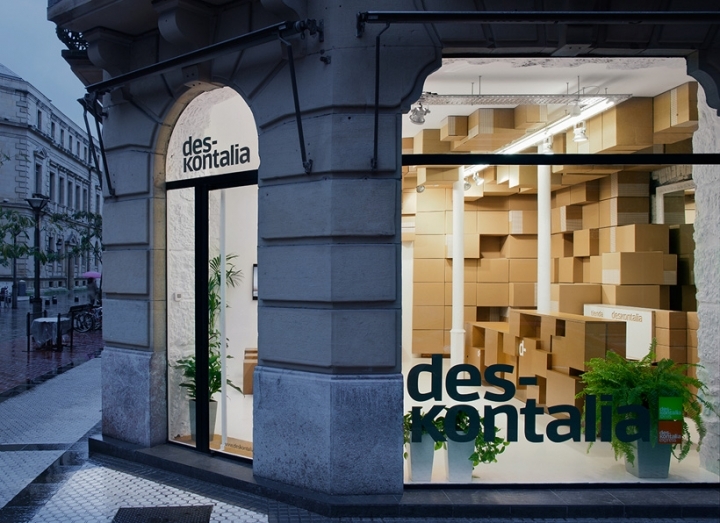 Spanish architecture studio VAUMM developed a new store located in a urban downtown street of San Sebastian, Spain, for Deskontalia, an online store that offers discounts and offers in Donostia. 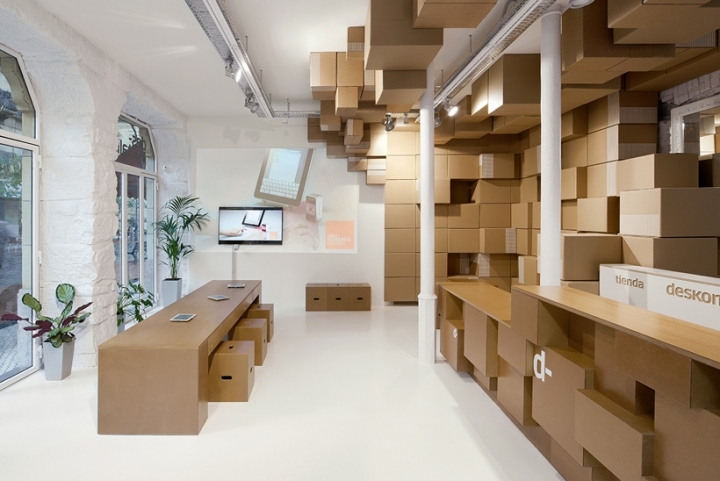 The space had to be a pick up point for any product that one could imagine buying over the Internet, but even something else. 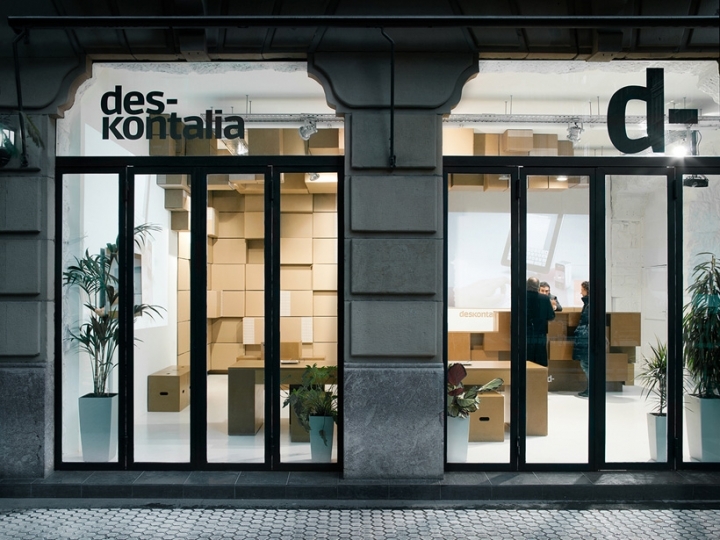 From that point of view the space was to become not only a space to sell, but a space to be a meeting point between brand and people, an open space, a place of the city where an online business becomes a physical reality. 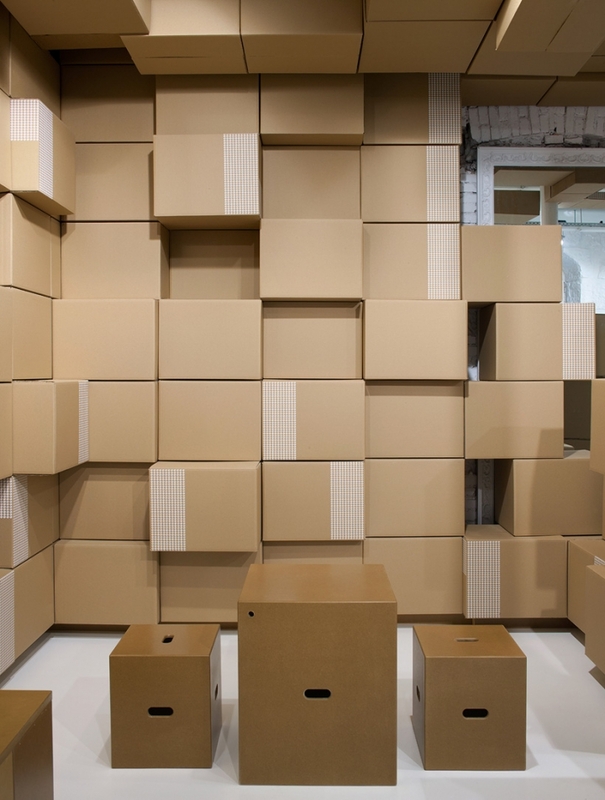 The store activity is linked to package traffic, cardboard containers in which travel purchased products, which are collected in this new architectural space. A small counter where to exchange these packages of hands, solves all the functional requirements of the trade. 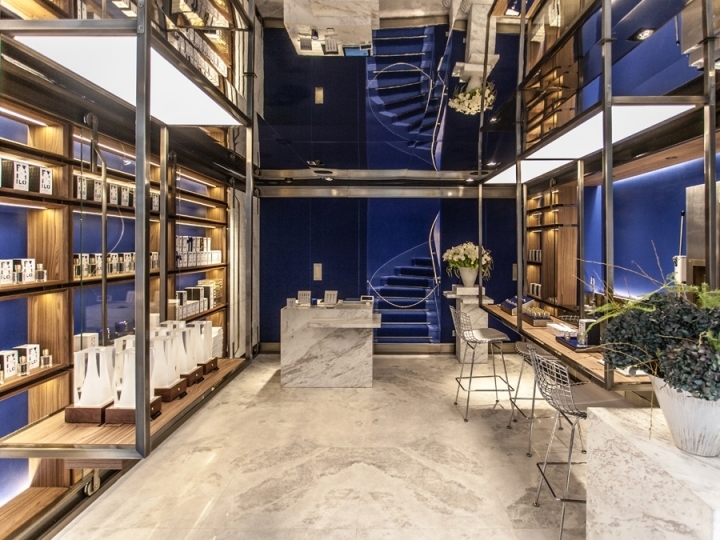 The space has been treated as a white empty space where old items such as masonry walls or casting pillars are bathed in this colour, as well as more contemporary new resin pavement, in an attempt to transform the store not in a shop but in a store where different transformations may occur. 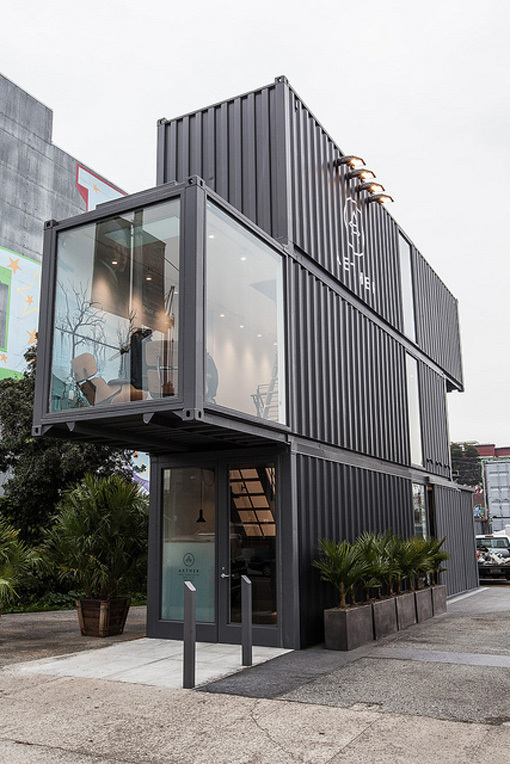 Cartons are converted into the measurement unit of the architectural proposal. 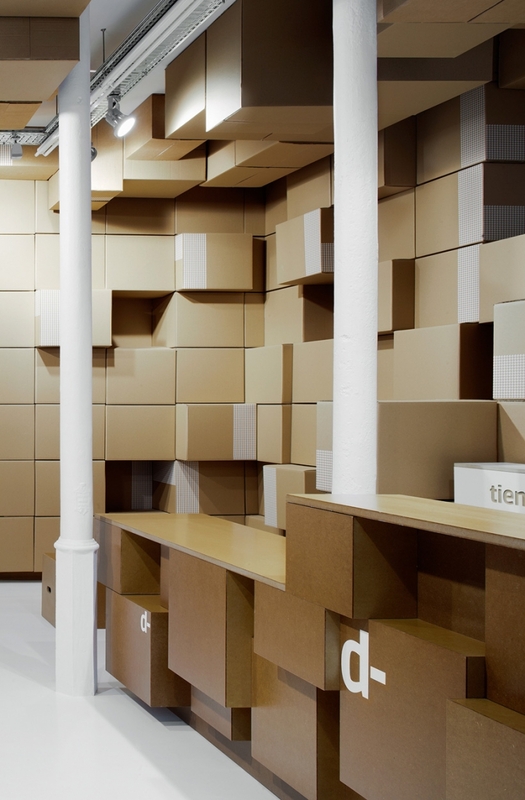 Small cartons are elements to generate a kind of sculpture that envelop walls and roof to create different environments which users could interact with them. These packaging boxes incorporate the graphic image of the brand, a ‘d-’, like a strip on both sides, 90 degrees in space. 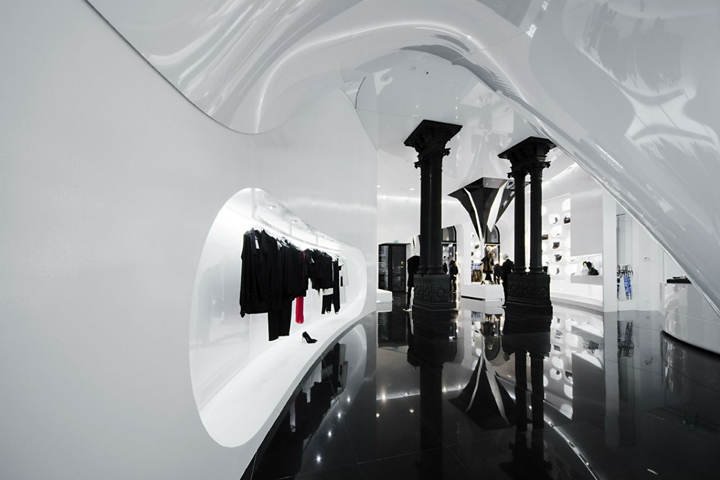 Thus, the store gets a sculptural object at its scale by stacking the cartons with multiplications of their shapes and cubic components, qualified by the impression of the brand.